This basket fits most of the bicycle handlebars. The strap is adjustable and makes it easy to assemble and remove. Motion-activated flower lights improve visibility in the low-lit areas. It is a perfect size for smaller bikes. Has enough space to put small personal items in the basket. This basket with flowers lights makes the bike special. The strap is short and weak. Cannot replace the lights if it stops working. 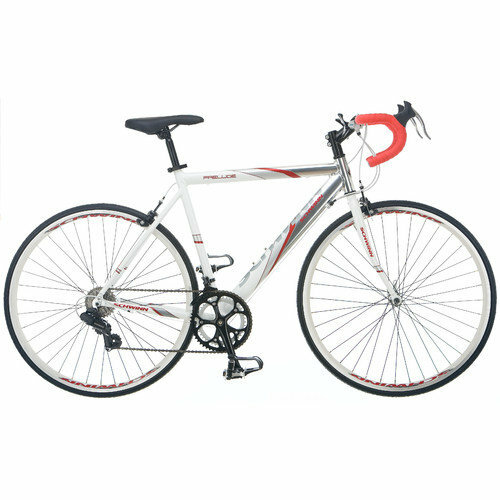 This is the summary of consumer reviews for Schwinn Girl's Bicycle Lighted Basket. 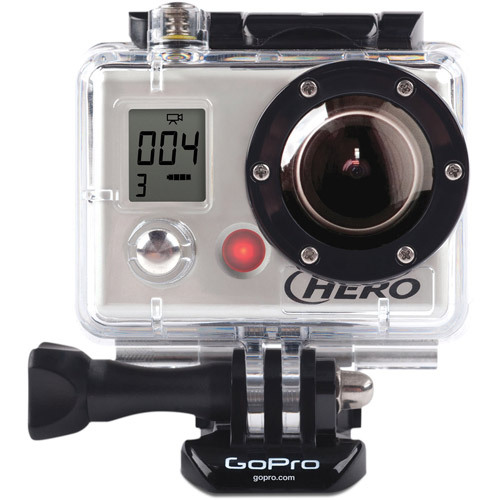 The BoolPool rating for this product is Very Good, with 4.30 stars, and the price range is $10.99-$12.59. Most of the children's bike do not come with a basket. Children need a basket on their bike to carry small personal items. What if there is a basket that is convenient and increases safety? The motion-activated feature of the Schwinn Girl's Bicycle Lighted Basket is the answer. Schwinn Girl's Bicycle Lighted Basket fits most bicycle handlebars. 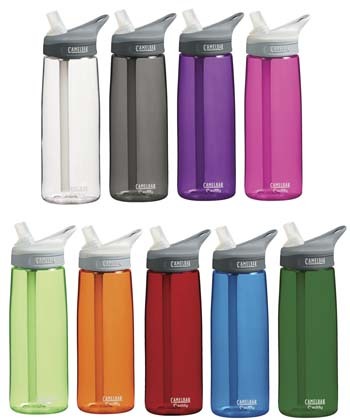 It has an adjustable strap that makes it easy to assemble and remove. This basket has motion-activated flower lights that improve visibility in low-lit areas. 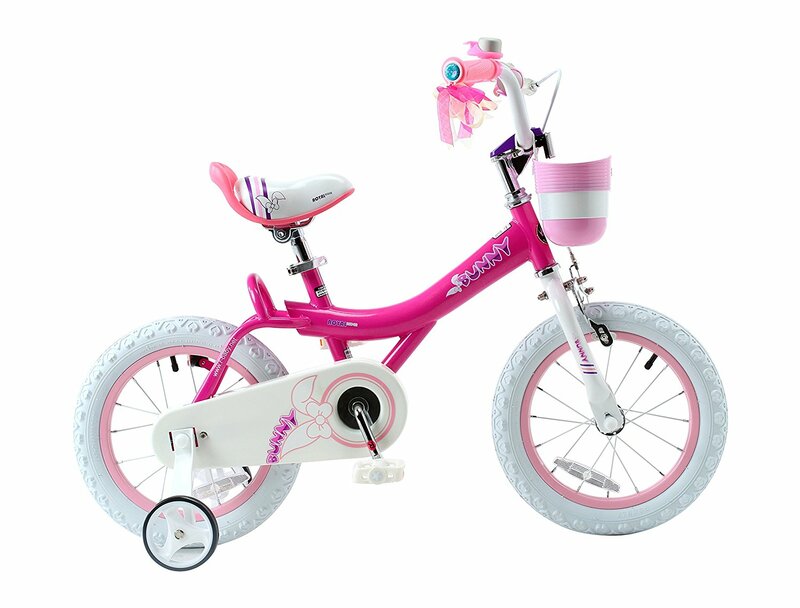 Users love Schwinn Girl's Bicycle Lighted Basket as it is a perfect size for smaller bikes and makes the bike special. The flower lights on the basket automatically flicker when the bike is moving or bouncing and increases the safety of the child on their early morning and evening bike rides. 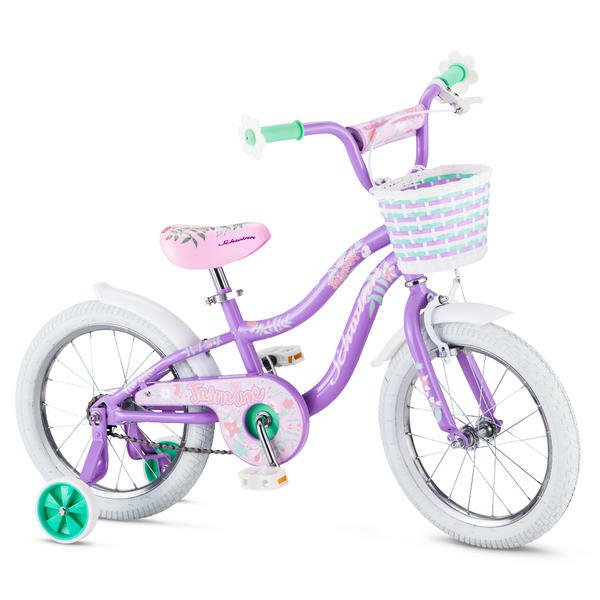 Kids love Schwinn Girl's Bicycle Lighted Basket as they can carry their water bottle, doll, books, or snack along with them on their bike rides. However, the strap is short and weak and needs to replace with Zip ties or Cable ties to make the basket more stable, cannot change the lights if it stops working. Overall, Schwinn Girl's Bicycle Lighted Basket is a nice addition to the bike to carry small personal items along the ride. The strap is too short and weak. It needs to replace with zip ties to make the basket more stable and functional. We'd to use zip ties because included straps were too short. My daughter loves it but already one light has stopped working and I hate the straps so I used zip ties. Had to get some large zip ties which hold great. put on with zip ties though they'd be better nobody can remove with out cutting ties. I'll have to get zip ties or something. Original straps were a little weak so I replaced with cable ties. We opted to put on zip ties to make this more stable and functional. I'd no problems with the included straps. It was easy to install - although we didn't use the attached ties. The straps provided to attach this to handlebars of a small trike or bike don't hold on well, allows basket to move around. Kids can carry water bottle and doll along with on bike rides. They love to put rocks and flowers in the basket that they find on the way. She loves carrying rocks and flowers that she finds along her ride. My 8 year old granddaughter loves using it to collect her rocks while out riding around. super cute and she loved how the flowers lit up. My 4yo loves her basket, and really loves being able to take her water bottle and her doll along with her on bike rides. The lights are very and she loves to see them come on. She loves it and the straps that came with it've worked without a flaw. The lighted flowers are cute, too. This basket and the flower lights on it makes the bike special. Perfect size for smaller bikes. The basket last for quite some time on the bike. so fun for my daughters bike. Beautiful and cute for my daughter's bike. My daughter loves it on her bike holds up well. Awesome basket that's lasted quite some time on my daughters bike. My daughter wanted a basket for her bike and this was perfect. The basket is cute, but I'd trouble getting it to fit securely on my daughter's bike. 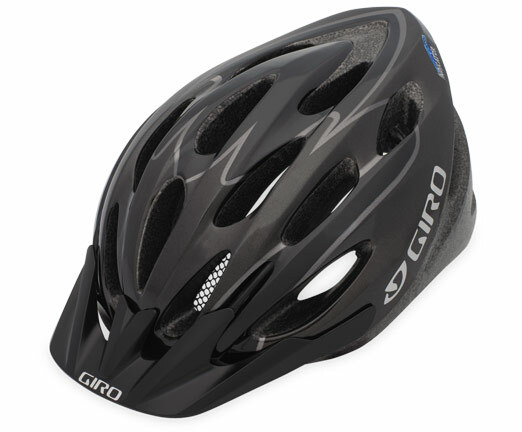 This's fun to use, functional, and has increased my daughter safety on her morning bike ride to school. When I surprised my daughter and put it on her bike she couldn't be happier! Got this to add to my daughter's bike and she likes it a lot. The straps that come with it come undone easily and I need to use zip ties to keep it on my daughters bike. The motion-activated lights increase the safety of the early morning bike ride to school. 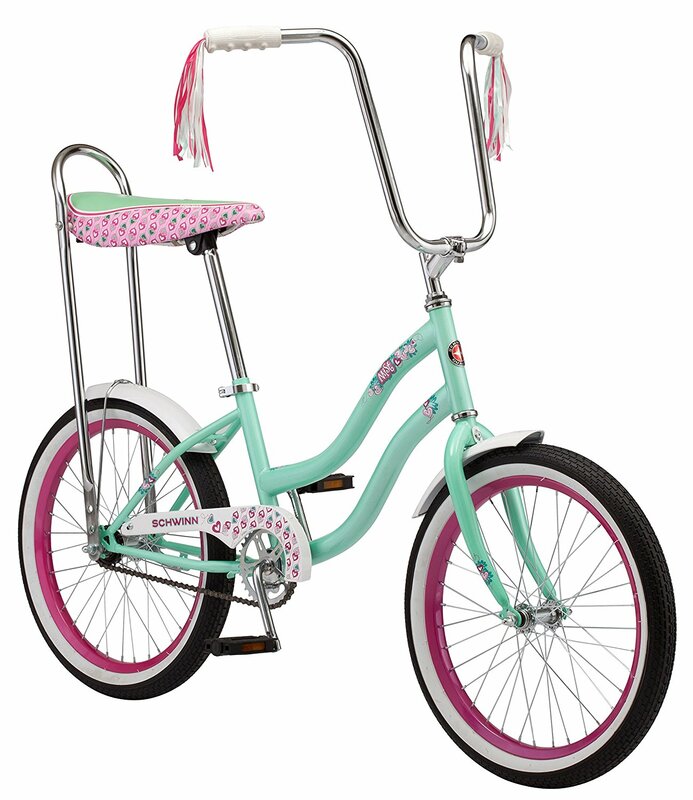 Perfect for a little girls bike!! Perfect size for smaller bikes. A fun addition to a little girl's bike. Granddaughter loved this basket for her bike. 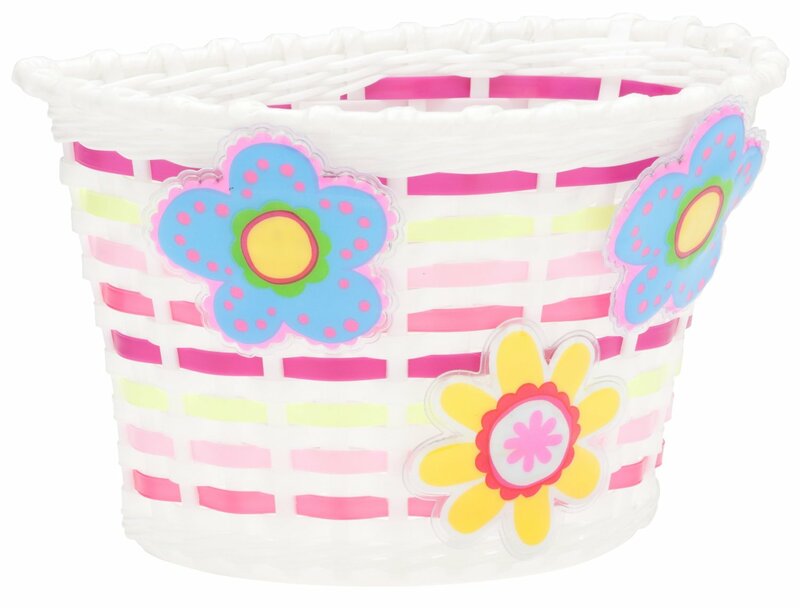 Super cute light-up basket to make a bike extra special for your little (or big) girl. This's a cute basket, perfect size for a little girls bike (my 5 year old enjoys it). Too cute work out just perfectly for my granddaughter's new bike. My daughter wanted a princess bike with a basket for her dolls (she's three) and we wanted her to have a better quality bike, so this was a great addition to her bike. Lights automatically flicker when the bike is moving and bouncing. 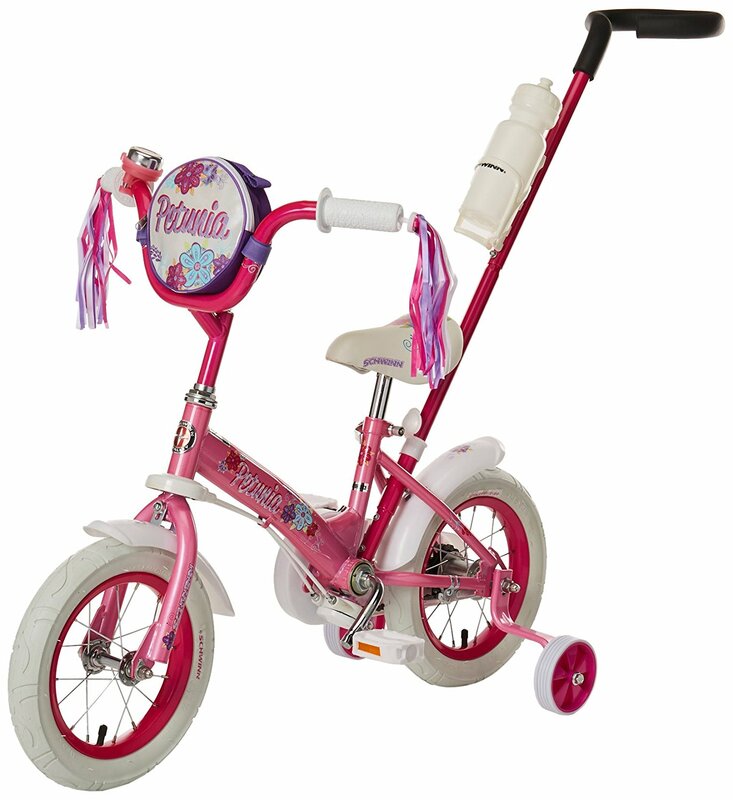 I bought it for my granddaughter's bike who's 8. Instead I'd to give it to my 5yr old granddaughter for her bike. Cannot replace the flower lights if it stops working. Can't replace lights but cute. The basket lights up perfectly and is a cute addition to my daughter's bike. While the basket itself is cute, the lights don't work properly. So cute, and the flowers light up and flash when the basket is jarred. The flowers light up and flash. My daughter likes the light up flowers. The flower lights automatically flicker when the bike is moving and bouncing. Better than expected, flowers light up when tapped. The flowers light up whenever my daughter hits a bump. Only downside was they do light up, and something malfunctioned in the one flower and it never stopped lighting up...until the battery died. The only problem is one of the three lights didn't work. The basket lights up when triggered by motion. The lights are definitely for show, so depend on using them to light up an area for improve visibility. They seem to work now - they light up when you shake it. One of the flowers sea or was broken and it won't stop lighting up, had to remove the flower completely. Doesn't light up consistently, but otherwise does the job!. One of the flower lights didn't work when I received it but for the price, I didn't feel like returning it.